Looking for a window and door solution that puts your needs at the forefront? New build or replacement, commercial or home, we tailor our solutions to your exact requirements. Signature offers wooden windows and doors to match the traditional Irish indigenous styles, meeting most rigorous conservation requirements for historical replication. Bespoke Wood Windows & Doors. 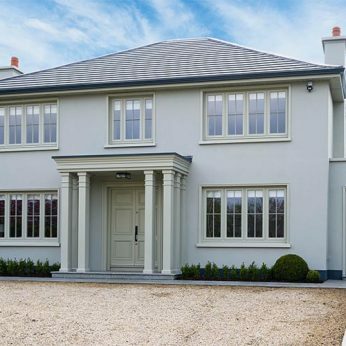 Weighted Or Sprung-Loaded Sliding Sash Windows, Flush Casement And Top Hung Windows. Classical and Flush Entrance Doors And Traditional Style French Doors. Four Traditional Profiling Options For Frame And Sash (Ovolo, Lamb’s Tongue, Concave and Putty line). Flat Finish Applied To Joints As To Avoid Unsightly Deep V Joints. Narrow Shadow Lines To Create An Authentic Handcrafted Design. Enhanced Energy Efficiency & Security. Any RAL Colour & Wide Range Of Wood Options. The Signature Contemporary Range combines high-performance wood and aluminium clad wood contemporary style windows & doors. Custom Made Aluminium Clad Wood With Low Maintenance Exterior And Wooden Interior. Casement, Tilt & Turn, Top-Hung Or Fixed Windows. French Doors, Entrance Doors, Bi-Folding Doors & Lift & Slide Patio Doors. Glazing Options Include Double Or Triple, Laminated or Sound Deadening Options. Water & Air-Tightness Performance That Outperforms Set CE Standards. Can Achieve Near Passive Standards U Values As Low As 0.78W/m2K. Large Fixed Single Or Combination Glazing With Some Of The Largest Sizes Available In The Domestic Market. 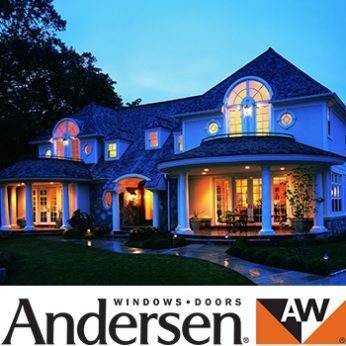 The Signature Classic American Range by Andersen offers an industry-leading, innovative approach to windows and doors that’s based not on the type of window or door, but rather on the style of home you want to create. 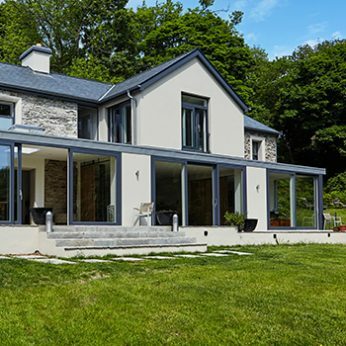 Bespoke Aluminium Clad Wood Windows & Doors That Maintain Traditional Profiles With A Low Maintenance Exterior. Features Slimmer Profiles & Detailing That Will Embellish Your Home In Luxury. The Cladding Is Available In 50 Standard Colours And 7 Anodized Finishes. The Rich Wood Interior Is Available In 10 Species With 12 Standard Finish Options And Custom Finishes Are Also Available. Stronger Vertical Emphasis Of The Narrow Window Frames Creates A Classical Architectural Element. Higher Quality Aluminium Paint Finish To AAMA 2604 Performance Standard. Kynar Paint Finish Available As An Option.